Whereas in a snowflake schema, a dimension table will have one or more parent tables. Whereas hierarchies are broken into separate tables in snowflake schema. These hierarchies help to drill down the data from topmost hierarchies to the lowermost hierarchies. Snowflake Schema is similar to the star schema. "A schema is called a snow flake if one or more dimension tables do not join directly to the fact table but must join through other dimension tables." Fact tables are large and usually distributed by hash. Each star schema contains a fact table that is home to measurements describing a particular process. The measurements, or facts, are given context by their related dimensions. The grain of the fact table describes the level of detail at which the facts are recorded. Dimension tables are usually small and often distributed by replication, but dimension tables can be distributed by hash. The dimensions provide contextual information, without which reports would be meaningless. Successful dimension design hinges on the proper use of keys, the development of a richly detailed set of dimension columns, and a rejection of the urge to save space. 5. What is Factless fact table? Factless fact tables for events record the occurrence of activities. Although no facts are stored explicitly, these events can be counted, producing meaningful process measurements. Examples include the number of documents processed or approved, the number of calls to a customer support center, or the number of impressions of an advertisement. If the user request asks for all of the rows in a table, every AMP should participate along with all the other AMPs to complete the retrieval of all rows. This type of processing is called an all AMP operation and an all rows scan. However, each AMP is only responsible for its rows, not the rows that belong to a different AMP. As far as the AMPs are concerned, it owns all of the rows. 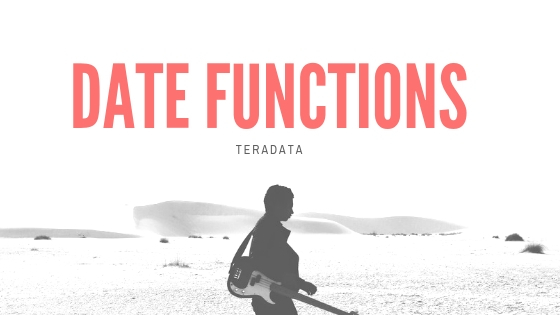 Within Teradata, the AMP environment is a "shared nothing" configuration. The AMPs cannot access each other's data rows, and there is no need for them to do so. 10.What is a set table?When we will use multiset table? Set table: SET TABLE means that Duplicate ROWS are rejected. If your system is in Teradata mode, then SET tables will be the default. You can be in Teradata mode and explicitly define a Multiset table. Multiset table: A MULTISET Table means the table will ALLOW duplicate rows. If your system is in ANSI mode, then MULTISET tables will be the default. In either Teradata mode or ANSI mode, you can specifically state (SET or MULTISET) for the table type desired. The problem with Multiset tables is if you have a Non-Unique Primary Index, and accidentally load the table twice, you have duplicate rows.